If you have fine lines or wrinkles around your eyes or mouth, or you suffer from scars that have accrued from teenage acne, a laser treatment may be the perfect solution for your skin. As we age, topical skin treatments often lose their power when it comes to concealing signs of aging and other skin imperfections. With the plethora of rejuvenating facial masks and nighttime lotions on the market today, it can be intimidating trying to decide which ointment or lotion will work best for you. Instead of wasting time and money on over the counter products, a simple laser treatment may be all you need to get youthful and vibrant skin. 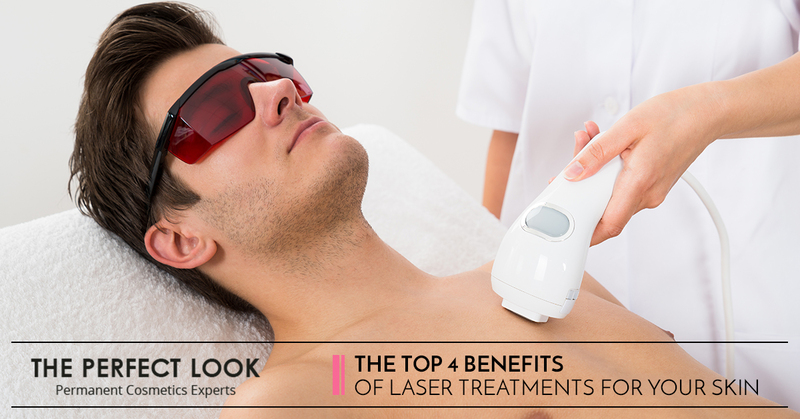 In this blog, we’ll take a look at the top four benefits of laser treatments. The Perfect Look in West Lake Hills has helped hundreds of men and women eliminate unsightly wrinkles, scars, and discolorations from their skin through our innovative laser therapy treatments. 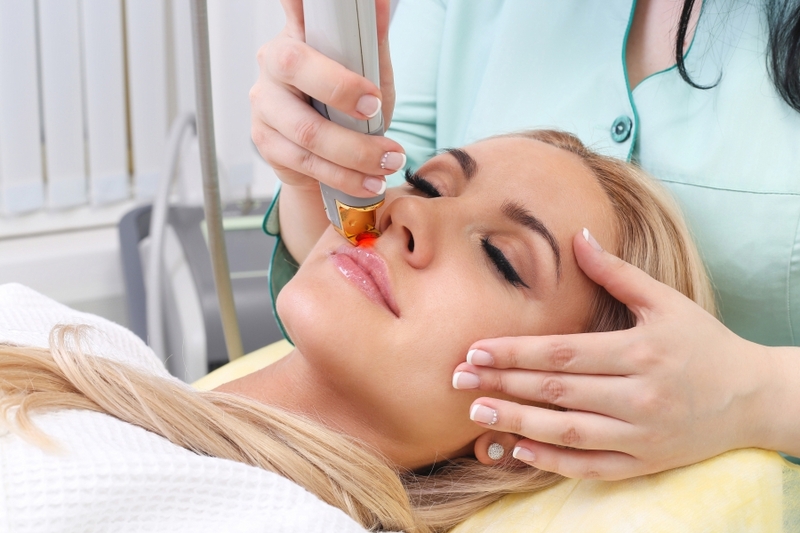 If you’re interested in learning more about our patented laser treatments, contact us today! If you suffered from severe acne during your teenage years, there’s a good chance you have some facial and body scars to prove it. Acne scars seem to last forever, and as times goes on, acne has a way of coming back with a vengeance. Adult acne can be extremely frustrating, and while topical ointments may work temporarily, they rarely provide permanent results. If you’re looking for a more permanent solution to acne scars and blemishes, a skin laser treatment may be the best solution for you. 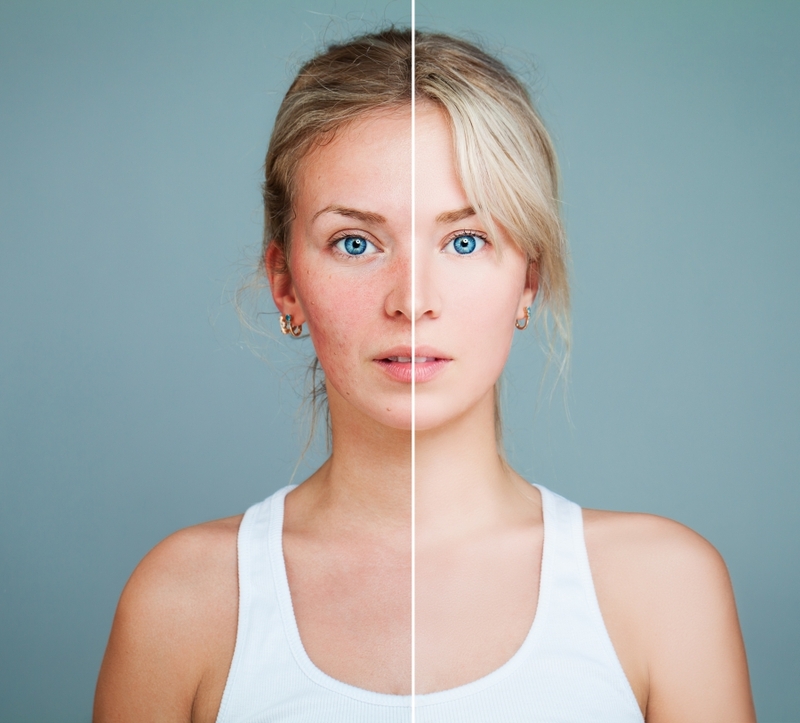 Through the use of specialized lasers, a skincare specialist can help to remove and eliminate blemishes in the skin through a process called photothermolysis. This is also known as laser resurfacing, which is a technique used in laser therapy to remove fine lines, wrinkles, scars, and other pigmented areas from the skin. If this procedure sounds like something you’d be interested in doing, contact the professionals at The Perfect Look today. Beauty stores line their shelves with anti-aging serums, however there is only so much this seemingly magical product can do to fight off signs of aging. As we age, wrinkles and fine lines become practically unavoidable, and smile lines around the mouth and eyes are likely to appear. Cosmetic laser treatments are a great solution for this, as they work to restore the skin’s ability to heal itself. By applying laser treatment beneath the surface of your skin, you can stimulate the production of natural collagen and blood vessels to fill in these fine lines naturally. Do you go tanning often to achieve that soft, summer glow? Unfortunately, baking in a tanning bed and the sun can come with some unwanted consequences. From sunspots to discoloration and pigmentation over time, as our skin ages it loses its ability to keep its even skin tone. The good news is that specialized laser treatments can help erase these skin issues easily and naturally. You’ve probably heard the world “collagen” before, but do you know what it actually is? Collagen is a natural protein which makes up over 80 percent of a person’s skin. In addition to elastin and glycosaminoglycans, collagen is one of the three major components of your skin. It is what provides your tissues, organs, and blood vessels with strength, and maintaining collagen in the skin is essential to having a healthy and youthful appearance. The collagen in your skin is affected by age in a number of ways. As you age, it’s natural for your skin to become thinner and drier, which can lead to wrinkles and sagging skin. The growth of new skin cells in your body also slows down dramatically, which can contribute to dull-colored skin since dead skin cells do not shed quickly. Aging skin is also much more susceptible to the development of brown spots on the face and body. While the aging of skin and the deterioration of collagen is a natural and normal process, there are a few ways to keep your skin looking healthy, tight, and youthful. Let’s look at some remedies to healthier skin below. Reduce the intake of high sugar consumption. A diet that is high in sugar can increase the rate of glycation in your body. This is the process where sugar in the blood attaches to proteins in your body to form new molecules known as advanced glycation end products, or AGEs. This can result in damage to adjacent proteins which can make collagen dry, brittle, and weak. Luckily, this can be avoided with a healthy diet that contains natural sugars. Stop smoking. Smoking is of the biggest offenders to our health, and many chemicals present in tobacco can cause damage to both collagen and elastin in the skin. Nicotine has also been found to narrow the blood vessels in the outer layers of your skin, which can reduce the delivery of oxygen and nutrients to the skin. Wear protection in the sunlight. Ultraviolet rays from the sun can cause collagen to break down at a quicker rate, which can damage the collagen fibers in your skin. Partake in laser treatment therapy. This unique procedure helps to stimulate collagen production by delivering a focused ultrasound energy to the surface of your skin. This energy naturally triggers a response in your body to jumpstart the regenerative process that produces fresh collagen. If you’re interested in learning more about laser treatment therapy, contact The Perfect Look in West Lake Hills today!